How annoying is that Acrobat Content Preparation Progress message? It pops up when you open a new document. You then have to wait while it reads and prepares your file. Depending on the size of the PDF document, this can be a bit of a nuisance. On a large file, it can slow down your ability to quickly read the contents of a PDF. It’s easy to fix though, just by changing a setting in the Preferences. Scroll down and click the section marked Reading. Look to the right and in the second panel you will see Screen Reader Options. Change the setting in the Page vs Document to Only read the currently visible pages. Click the OK button at the bottom and you’re done! When setting up documents for reflow this message may be displayed. 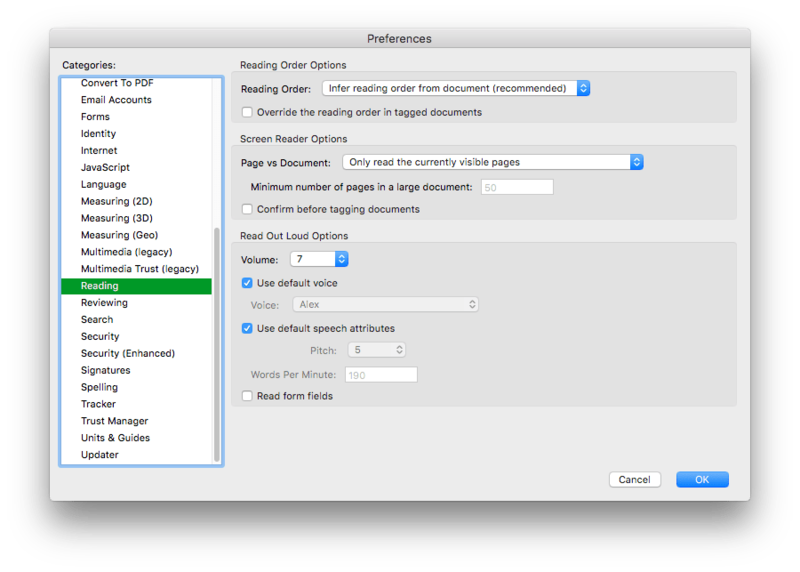 Changing the preference within Reading allows Acrobat to process the current page only. One other quick tip for users who are new to Adobe Acrobat DC Pro – did you know you have collapsible panels to the left and to the right of your document? You might not have spotted the discreet (read ‘not obvious’) triangles in the middle of the browser window. Click these to expand or collapse additional panels. On the left you have Pages, Bookmarks and Attachments. 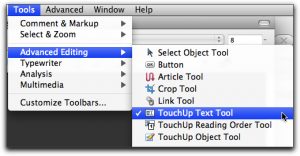 To the right you will find various editing, commenting and markup options.